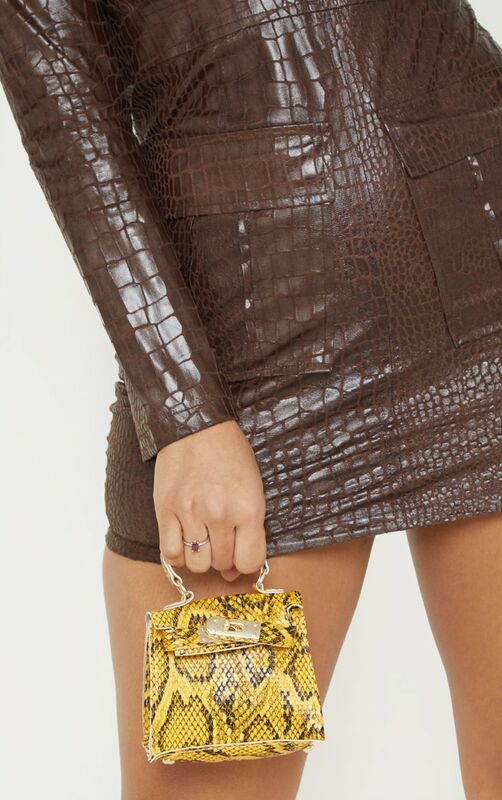 We're obsessing over mini bags at the moment. Featuring a yellow snake print material, a small handle and a detachable chain. Practical yet cute.